Is it possible to get an easy $50 a day using a system that you can set up in just 20 minutes? Well, according to the creator of the 20 Minute Setup Machine you can. If you’re one of those people who came across this program, then the offer may have caught your attention, but you want to know if this program is a legit opportunity or a scam that you should stay away from. Since there are lots of scam programs on the web, it’s best that you do your research so you’ll know all the details about a program before you make your final decision. So, I would like to welcome you to my 20 Minute Setup Machine review, where I will provide you all the info you need to know about this program, so you can make an informed decision if it’s for you or not. 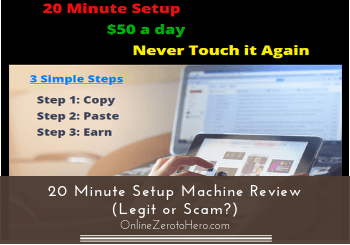 20 Minute Setup Machine is a program that claims you can make an easy $50 a day using a system that you can set up in just 20 minutes. It’s created by a so-called Lyfe Lyte and being marketed in WarriorPlus. In my opinion, they want you to believe that their system is laid out for you in a way, so you don’t need to do anything else except to wait for the money to flow into your account. But in reality, this is NOT the case because you need to invest time, effort and a bit of patience to succeed in this field. 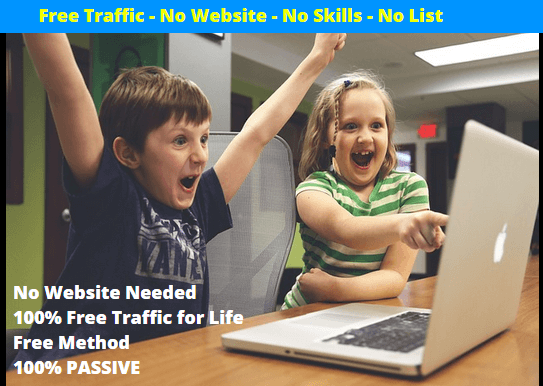 Creating a passive income online through affiliate marketing is possible, but you cannot set up everything in just one go and expect to make a lot of money with minimal effort – and especially not in just 20 minutes. That is why I don’t recommend this program because it has several significant red flags that make it a risky investment, in my opinion. I would suggest that you look for other opportunities online that can truly give you the results you are looking for. What is the 20 Minute Setup Machine and what does it offer? Based on their sales page, it’s a program that claims it can help you make $50 a day easily using a done-for-you system. The creator of this program is a so-called Lyfe Lyte, and since there is no video on their site, they used several stock images and texts to highlight the features of this program. The first thing that they want to highlight on their sales page is the three simple steps that you need to do to earn a decent income online. According to their sales page, you can just follow these three simple steps and you’re own your way to earn money online. It seems Lyfe Lyte created this program with beginners in mind because he wants you to know that you can easily earn $50 a day with just 20 minutes of work. According to him, you’re not required to have a website, nor do you need technical skills to succeed. You’ll just need to copy paste all the methods they did on their course, and you’ll be on your way to riches. 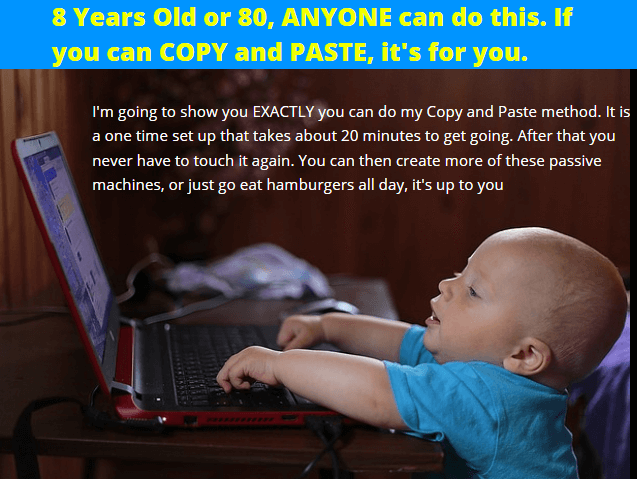 They even reiterate that even 8 or 80 years old can do it as long as they can copy and paste then this program is for them, which is a bit hilarious. It’s hilarious how they use an image of a baby on their sales page. 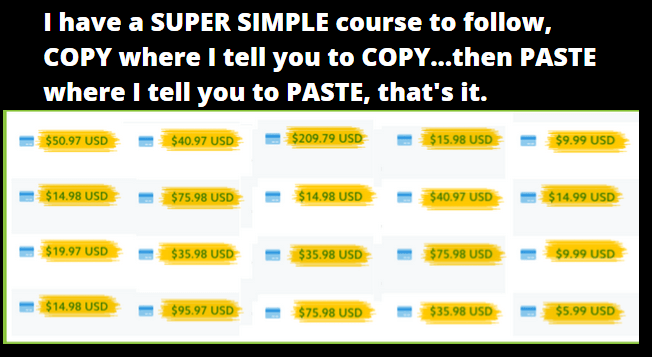 Basically, this program will require you to buy a course that has the so-called secret steps that you can copy and paste and just wait till the money flows into your account. The idea that you can easily make money online without any prior experience or know-how in online marketing, in my opinion, is just an overhyped claim. Like in any online endeavor, it’s important to understand that you are required to invest time, effort and some patience to succeed because NO shortcuts or workaround can make things magically easy. So, these are some of the red flags that I’ve uncovered from their sales page that I think you should know about. The first time I’ve checked their sales page, I was prompted with a big font text saying that with just 20 minutes, you can make $50 and you’ll never need to touch the automated system again. You’ll also see a series of claims that everyone can take advantage of this program including the rewards that are waiting for you once you get inside the program. These rewards will include traveling to your dream destination, walking your dog, and more time with your love ones. But beyond these promises, you’ll soon find out that there’s no proper explanation on how this program works. What is clear though is that there’s a course inside the program that will teach you the secret stuff, but you won’t know the real content of that course until you buy this program. In my opinion, hiding the full details of a program is unethical, because they are NOT transparent, and this could lead to confusion and doubt. How can you trust a program that can’t even provide you a proper explanation on what it really is and how it works? I understand that they, of course, cannot give away all the details on the sales page. But in this case, you get no details at all. It does not really make sense paying for a course that does not even tell you a bit about what it teaches other than just “secret” stuff, does it? You should take this red flag seriously before you decide to purchase this program. Red flag #2 – Is this program really for beginners? Based on my research, I found out that after purchasing this program, you will receive a PDF that contains the training and the steps that you need to copy and paste to earn the income that they promised on their sales page. The issue I have here is the lack of explanation on what you’re going to copy and where you’re going to paste it. Since they said on their sales page that you didn’t need any website, then this gives you an impression that you’ll be promoting something to a known platform on the web and earn something from that activity. Based on their sales page, you don’t need a website to earn money online. As I did my own in-depth research on the content of their training material, I found out that it contains some tutorials on how to choose a product on WarriorPlus and taking a screenshot of it so you can use it in a slideshow that you will then promote on YouTube. It all sounds easy, but Lyfe leaves out some essential factors in his method, like getting approved as an affiliate of the product you’ve chosen on WarriorPlus and how you can effectively get traffic on YouTube. Overall, this program is NOT beginner-friendly and will require some form of training especially in affiliate marketing and content creation for the ads you’re going to use on YouTube. You should also consider this as a red flag before you decide to purchase this program. Warning sign #3 – Once it is set up it runs by itself for life? Another significant red flag I saw on their sales page is the claim that if you have set up your campaign using their system, it will run on its own and you will continuously earn money online.